Fried food can be more than just a delicious treat to some – especially if you’re from the southern United States, where it’s become part of the culture. But it probably won’t shock you to find out that regularly eating fried food is linked to an increased risk of death. A new study from The British Medical Journal has found that it is linked to heightened risk of death among postmenopausal women. Although many studies have been done on the connection between fast food and the risks of type 2 diabetes and heart disease, little research has been done on fried food consumption and life expectancy. 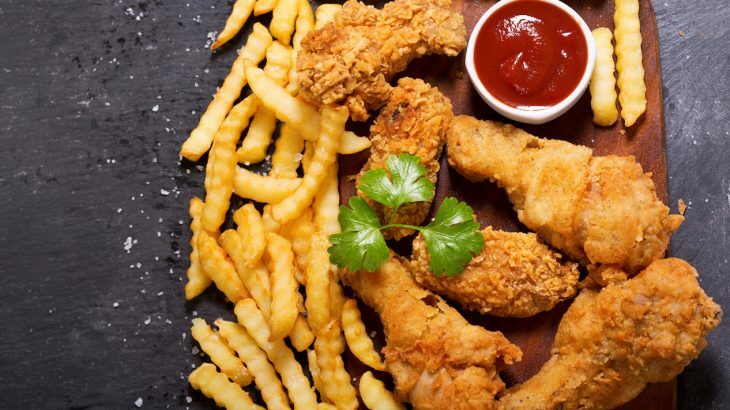 To remedy this, researchers from the United States investigated the link between fried food and death from any cause – heart and cancer-related death in particular. Using data from a questionnaire to assess the diets of more than 100,000 women, age 50 to 79, they found that over 30,000 deaths occurred between the initial survey from 1993 to 1998 and when the researchers followed up in 2017. Of the 31,588 deaths, there were 8,358 cancer deaths and 9,320 heat-related deaths. The researchers assessed the women’s total and specific consumption of different fried foods such as fried chicken, fried fish, and french fries. After taking into account factors such as lifestyle, overall diet quality, education level, and income, the team determined that regularly eating fried foods was associated with an increased risk of death from any cause, and specifically heart-related death. Individuals who ate one or more servings per day had an 8% higher risk of heart-related death compared to those who ate no fried food. However, no link was found between fried food consumption and cancer-related death. So if you happen to be a big fan of fried food, this study isn’t saying that it will be the death of you. Rather, find ways to reduce your consumption so that you’re able to enjoy fried food for years to come.